The Parties are the operators of jobvector, Capsid GmbH, hereinafter called jobvector, and the Party entering into a bilateral legal transaction with them, hereinafter called the Customer. 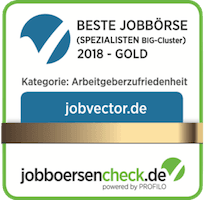 The contract includes the mutually agreed services between jobvector and the Customer, solely on the basis of our general terms and conditions, our price list found at https://www.jobvector.com/ and the product terms and conditions. Any other agreements differing from these must be made in writing. Our terms and conditions apply to all contracts concluded with us. The terms and conditions that are published at the time of conclusion of the contract are applicable to the contract. Contracts are concluded based only on offers made previously by jobvector to conclude a contract. The Customer can accept contract offers by declaration to jobvector, e.g. by sending back the signed contract in original/copy by email, fax or post to jobvector. The contract is concluded upon receipt of this declaration. Furthermore, a contract can be concluded between the Customer and jobvector digitally using jobvector's website with the input masks available there. Before any contract is concluded, reference is made to the terms and conditions. With the acknowledgement of the GTC and the purchase by mouse click, the transaction between the parties is completed. The job advertisement must comply with legal requirements. The advertisement must not contain any false, inaccurate or misleading information. The requirements and criteria must correspond to the actual and legal requirements of the position advertised. The individual key words and categorisation of Standard Design advertisements must be congruent with the contents of the advertisement. Subject-specific keywords and categorisation intended for targeted searches by Corporate Design advertisements are guaranteed by the jobvector team. Linking to competitors is categorically forbidden. Only links to the Customer's company website may be published. All contents and links in an advertisement must be directly visible to the user. Individual tracking codes for the Customer and interactive elements are generally not permitted, with the exception of links and e-mail addresses if they refer to the Customer's company website. Job advertisements that are posted may only be for free positions in the company. After inserting an advertisement, the advertisement may only be altered in content or graphics after consultation with jobvector. jobvector is entitled to adjust the job title in the advertisement outside of the advertisement. Manipulating the findability of the advertisement in the list of search results is not permitted if this goes beyond the fields provided, e.g. job title, content, keywords and categorisation. For tailored advice, the jobvector team is pleased to be at your disposal. Jobs for self-employed or freelance work must be indicated clearly in the description. Advance payments and financial investments by the applicant must be clearly indicated in the description (as well as travel costs and participation in training). There must be a vacant job post available. Advertising club and society memberships is not permitted. Submitted websites must comply with legal requirements. This refers particularly to the information requirements detailed in §§ 5ff. Telemediengesetz (German Teleservices Act). The content of the job advertisement must not violate the general Equal Treatment Act. The advertisement must not contain irrelevant information, such as advertising campaigns, competitions etc. jobvector endeavours to improve the response to the Customer's advertisement in any way within its means and to increase the quantity and quality of viable applications. This includes cooperation in all media (TV, mobile, online, offline, moving images and innovative media). The publication of performance elements requires no further consent from the Customer. When choosing a partner, great emphasis is placed on the partner's image and quality. The Customer provides jobvector with all information and data materials related to the job promptly after conclusion of the contract in full, error-free and immediately usable form, unless another arrangement has expressly been made. The Customer guarantees jobvector that they have all the necessary rights to use, save, copy, alter, make publicly available and transmit the data materials, including their individual components, and also the right to transfer these rights to a third party. The Customer hereby grants jobvector the necessary rights for publication. jobvector is not responsible for the content provided by the Customer or by a third party. In particular, jobvector is not obliged to check the contents on linked sites for possible rights infringements. If the Customer becomes aware of a rights infringement or claims are made against them in connection with the data materials, the Customer must inform jobvector promptly and immediately put countermeasures into place. jobvector is entitled to stop publication until a satisfactory understanding between Customer and the third party is met. Should third parties make claims of possible rights infringement against jobvector that arise from the transmitted data materials or the contents of the linked sites, the Customer agrees, without consideration to any culpability incurred by this action, to indemnify jobvector against any liability and to compensate jobvector for the costs that arise from the claim because of the possible rights infringement, in particular the costs of any legal defence. The Customer is obliged to support jobvector in its legal defence to the best of its ability with information and documents. Further claims by jobvector remain unaffected. The Customer is obliged to set up their email account in such a way that emails from jobvector reach them and especially are not placed in the 'Spam' folder. The Customer is obliged to configure their system in accordance with the appropriate technical standards in order to ensure smooth network communication with jobvector. All defects must be reported by the Customer. The sale prices must correspond with the current price list at the time of ordering or with the agreements that have been met. Additional costs that are incurred during the use of any means of telecommunication, delivery by post or creation of photocopies must be included in the price in accordance with §8. Correction and editing costs that are caused by the supply of erroneous data are not included in the price. The first correction of a performance element is free of charge for the Customer. This is regardless of which Party caused the error. All subsequent corrections to a performance element are subject to charge. The relevant prices can be found in the price list. These prices do not apply for the Customer if the first correction by jobvector was insufficient. The invoice amount is payable without discount for early payment within 14 calendar days from the date of issue. Another purchase can be made only after all applicable items including interest and costs have been settled. If costs or fees for international payments or other payment methods are payable, these must be borne by the Customer. If debit or credit card payment is agreed, the Customer must bear the cost of any chargeback fee in the case of a chargeback unless jobvector is responsible for the chargeback. If there is any reasonable doubt as to the solvency of the Customer, even during the term of the contract, jobvector is entitled to make provision of further services, without regard to the originally agreed payment date, conditional on advance payment of the applicable sum and on the settlement of invoices already issued. Reasonable doubt exists in particular if the Customer has defaulted on debts once or several times or if there are negative indicators from credit agencies. jobvector offers its services twenty-four hours per day, seven days per week. Interruptions in business will be reported as far in advance as possible. jobvector will eliminate problems in its technical facilities as far as is technically possible and as quickly as possible. The Customer must accept, as far as is necessary, interruptions to supply in connection with system maintenance or servicing of which it has been advised. In the case of temporary interruption of online submissions as a result of malfunction, the Customer is entitled to extend the time of provision by the length of time for which the service was unavailable. The duration of the job advertisement will be modified by jobvector in such a way that the application deadline is not exceeded. When you follow a link to another website and leave our website, we have no further control or influence on the content found there. We do not endorse this content and are not responsible for it, unless we receive notice of illegal content. In this case, we will examine the link and disable it until further notice. Delivery and service delays or cancellations for which jobvector is not responsible, or was not grossly negligent in causing, give rise to no entitlement to reimbursement or reduction in the agreed remuneration to be paid for the services. This applies particularly to the use of inappropriate software and/or hardware for display (e.g. a browser) or to the failure of communication networks and gateways of other operators. jobvector is entitled in other cases to extend or postpone the service by an amount of time equal to the length of the disruption, plus an appropriate run-up time. Only if this is or was unreasonable for the Customer is there any entitlement to a refund, or in case of partial service delay or pro rata temporis malfunction, a pro rata temporis reimbursement. The automated flow of data into or out of the jobvector system is governed by specific rules, hereinafter referred to as interfaces. Each interface is based on a specification that describes the exact scope of services and the technical details of the interface. The specification is limited to the definition of technical aspects. For transferred content, §7 applies. jobvector assumes no liability for losses and damage that arise from improper use of an interface. Failures that occur as a result of an incomplete specification or an incorrect implementation of a specification will be rectified as quickly as possible. jobvector reserves the right wholly or partially to suspend accessibility to an interface during this time in order to prevent damage to the system as a whole. No claim for compensation can result from this; in addition, the regulations and provisions detailed under §13 apply. For the purpose of traceability of data exchange as well as for error checking, the content or parts of the content of the data exchange are collected and recorded. To prevent damage and malfunction, it is advisable to examine an interface during a test phase within a non-productive test environment. jobvector reserves the right to continue to develop interfaces to adapt to new or changing requirements. Therefore, they are subject to versioning, which is described in the specification governing the interfaces. By concluding the transaction, both Parties agree to observe data protection laws. This obligation remains in effect even after the end of the contract term. The Customer acknowledges with this clause that their data is saved in machine-readable form by jobvector in accordance with data protection law and will be processed by a machine for contractual purposes. jobvector refers explicitly, in addition to the provisions of the GTC, to its data privacy statement (https://www.jobvector.com/privacy-policy.html). Claims for damages arising from impossibility of performance, positive breach of contract or unlawful acts are precluded, except in cases of intentional or grossly negligent acts. Liability for guaranteed features remains unaffected by this, as does liability for damages resulting from injury to life, body or health. jobvector is not liable for damages arising from failure to provide services in case of force majeure or industrial action. jobvector is not liable for information that is transmitted using its services, and in particular is liable neither for its completeness, accuracy or currentness, nor that it is free from third-party rights. Otherwise, jobvector's liability for the Customer's damages, with the exception of personal injury in accordance with lit. a) clause 2, is limited to the simple sum of the agreed end fee. The Customer is liable for all results and harm suffered by jobvector or by third parties that arise from improper or illegal use of jobvector services, or otherwise arise from the Customer's failure to meet their other obligations. This website contains data and other information of all kinds that is protected by trademark and/or copyright law. It is therefore not permitted to download, copy or distribute the website, in part or in full. However, copying that is technically necessary, for the purposes of browsing or reading, is permitted, as well as permanent copying for personal use. Violations will be prosecuted to the full extent of the applicable law. We refer specifically to criminal culpability under §106 UrhG. The agency does not receive the products and services of jobvector for immediate personal use, but for the use of third parties. The agency is entitled to convey the right to the products and services received from jobvector against payment to a third party, as long as the recipient of the rights uses the products and services immediately and personally. Further conveyance - particularly to agencies - is not permitted. The agency undertakes to advise any third party to whom the products and services are conveyed of this prohibition on further conveyance. The agency assumes strict liability concerning jobvector under guarantee for the observance of the prohibition on further conveyance in accordance with lit. b) clause 2 and 3. Should products and services be used in violation of the prohibition on further conveyance, jobvector is entitled to claim payment from the agency of the difference between the agreed price and the standard price according to the price list, plus a fine in accordance with the contract of 10% of the resulting total price, whereby the agency must prove for the purposes of the contractual fine that only minor damage has resulted. The place of fulfilment is the office of the operator (Düsseldorf). The exclusive place of jurisdiction for disputes with vendors arising from the contractual relationship is Düsseldorf. The laws of the Federal Republic of Germany apply exclusively to this contractual relationship. The Customer's General Terms and Conditions are not valid unless jobvector specifically agrees in writing to be bound by them. Use of the Internet is at the user's own risk. We reserve the right, in case of repeated violations of the GTC, permanently to exclude companies and persons from participating in the offer. The operators reserve the right to store sent mail temporarily and to exclude participants from use of the system if there is suspicion that they have abused it or harassed third parties. The user agrees that their entries from feedback forms may be used as a reference by jobvector for promotional purposes. jobvector is entitled to send Customers information for marketing purposes or for products that the Customer purchased, or similar products, even after the end of the contract term. The Customer may revoke consent to this at any time. jobvector reserves the right to offer these services under another name. A name change does not change the existing contractual relationship, which is carried over and remains valid after the name change. jobvector is entitled to employ subcontractors. Job advertisements published on jobvector may be detected by search engines and made accessible on their websites. jobvector offers no guarantee of the deletion of advertisements from partner websites or search engines after the advertisement's expiry date. Commercial use of jobvector RSS feeds requires the express permission of jobvector. On the following pages, our product-related terms of business are defined. These are not simply an addition to the GTC, but take precedence over them. Participants who have booked paid services through jobvector, as well as cooperation partners who are present, are hereinafter referred to as exhibitors. jobvector determines the admission of exhibitors. The purpose of the jobvector career day is to bring employers together with applicants. A transfer of rights and obligations from the admission contract to third parties requires the written permission of jobvector. If several companies affiliate to carry out a task, they are liable to jobvector as joint debtors. jobvector assigns presentation spaces. jobvector reserves the right, regardless of the agreement that has been concluded, to assign a Customer another stand, to change the size of an exhibition area and to undertake other structural changes, if these are necessary. When calculating the presentation space, the allocated floor space is calculated without regard to pillars, projections or other fixtures. In case of circumstances for which jobvector is not responsible (e.g. force majeure, industrial action or official measures) or because of insufficient utilisation of capacity, jobvector is entitled to shorten events, relocate them or cancel them. In case of complete or partial postponement or shortening, the contract is considered void for the modified duration, unless the Customer objects to this in writing within a period of two weeks after notification of the change. jobvector is not liability for failure of registered candidates to attend. jobvector assumes, except in case of wilful intent and gross negligence, no liability for damages that arise from the exhibition materials or the Customer's stand equipment. If jobvector has not acted with wilful intent or gross negligence, jobvector assumes no liability for harm or damages that arise because of incorrect allocation of space, the construction of the stand, the stand space or other incorrect services, whether agreed or not agreed. jobvector is also not liable for harm or damages that arise from circumstances for which jobvector is not responsible. In case of cancellations of planned events by jobvector, fees already paid will be refunded. However, jobvector assumes no regress liability. jobvector is not liable for stand equipment or the exhibit in terms of landlord's lien. Claims for compensation of damages by the Customer because of a change to the exhibition space (location and/or size) is precluded. jobvector is not responsible for the property of other Parties. There is also no liability for damages to stored objects. jobvector is also not liable for the loss of objects. In addition, the house rules of the event venue are part of the contract. Surveys and distribution of brochures, leaflets, samples etc. by the Customer are not permitted and cannot be arranged beforehand outside of the allocated presentation space. jobvector is entitled to exclude any exhibition and/or persons who cause a disturbance in the orderly operation of the exhibit through odours, noise or other emissions or through behaviour (e.g. aggressive advertising) or appearance (e.g. obscene exhibitions). The power to make this decision lies exclusively with jobvector. Without consultation with jobvector, photography and the creation of moving images are forbidden. Sales of good of any kind is permitted only with the express permission of jobvector. Event visitors must only be addressed at a company's own stand. jobvector is entitled to exclude an exhibitor if they violate or do not comply with the arrangements in place for the event. No exhibitor claims of jobvector may arise from such an exclusion. jobvector is not responsible for the care of the exhibition. jobvector is only liable for itself and its employees in case of wilful intent or gross negligence if damage to exhibitions occurs. The owner or the holder of usage rights to the event building may ban Customers if there is sufficient justification. jobvector reserves the right to stream forum presentations live, delayed, recorded or edited to the internet. Product-related terms of business concerning the jobvector career counsellor in book-format: “Karrieretrends” (Career Trends). Our career counsellor provides guidance to the target group of scientists, doctors and engineers. jobvector is entitled to make changes regarding placements that differ from the written confirmation of assignment and to highlight advertisements with the word "Advertisement". The Customer is solely responsible for the timely and error-free delivery of printed documents. The printed documents themselves are the deciding factor for print quality. If there is no size specification from the Customer, jobvector is entitled to charge the Customer for the costs of the standard actual print size. The Customer may claim a fee reduction if the print is illegible, incorrect or incomplete. This applies only if the actual purpose of the print is impaired. In case of defects that are only detected during the printing process, there can be no claim for a price reduction or compensation. The Customer must expressly indicate mistakes in repeated advertisements. Otherwise, there may be no claim by the Customer. If there is any delay in the delivery of printed documents, there is no guarantee of print quality. There must be a binding colour proof for each advertisement; otherwise there can be no liability claims against jobvector. jobvector's liability for originals and samples is precluded, unless otherwise agreed in writing. jobvector is entitled at its discretion to destroy samples and originals that are sent. This applies unless another arrangement has been made in writing. jobvector is entitled to request that the Customer collect the originals. jobvector assumes no guarantee for the full dissemination of the print run. jobvector has no control over its cooperation partners' distribution channels. There is no guarantee that any deficiency in the print run will be rectified.